This stuff is awful - beyond belief. This app has been working well for me. The other complaints about hissing, etc. just use the noise hate on full and it cuts out the noise. 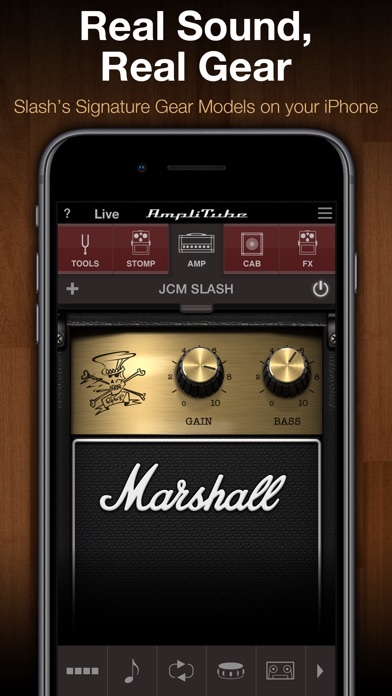 The amp setting work great and give the tone that I like about Slash. 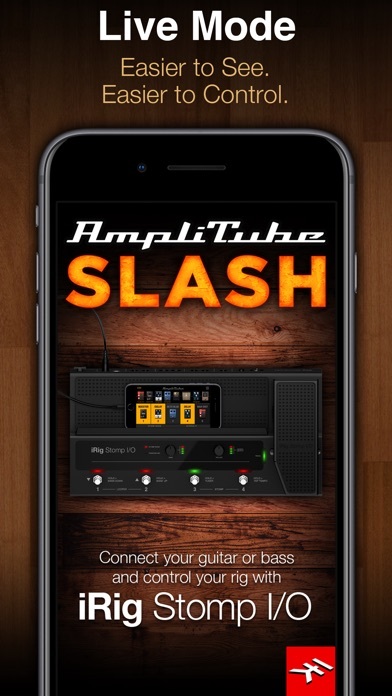 Overall I have been satisfied with this version, iPad and PC software versions of the Slash amplitube. 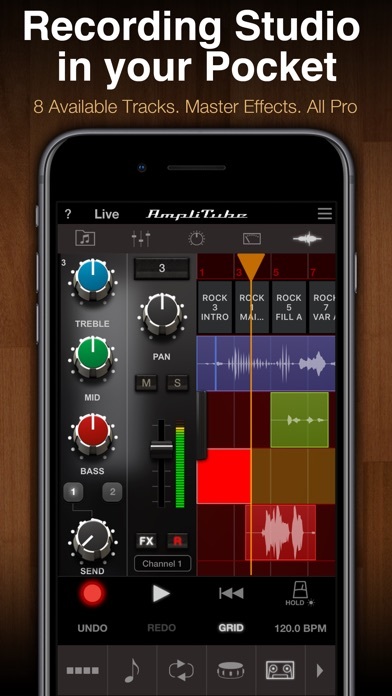 I use this app with the iRig stomp pedal. Cool idea, great pedals, but volume and hissing feedback sound needs fixing. I tried all sorts of different cables, speakers, and headphones. Still screeching feedback rendering unusable. Save your money and skip this. 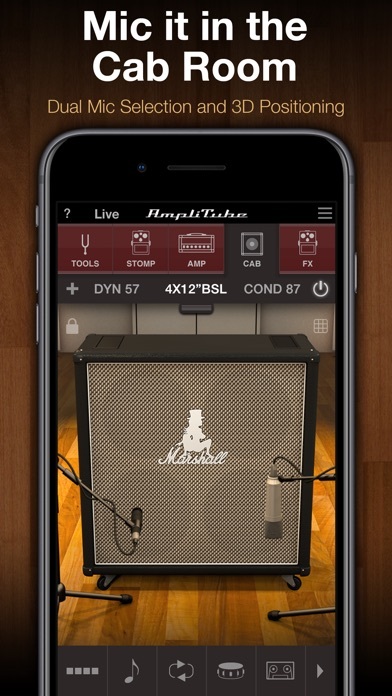 Ampitube is noisy and sounds nothing like a decent guitar sound.Crashes often and has audio bus issues. Should be a $1.99 app, not $16. 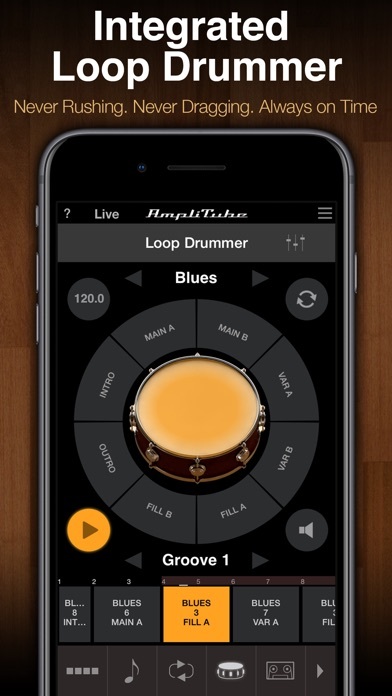 Great sounding app but what happened to the wah pedal? Very easy to use, great effects and best of all you can use it anywhere! Thanks for the update with the new iOS. Now the app totally does not work. What a joke. I love this app but I have an iPodTouch 5th gen and I would love to see an update for this app so it actually fits the screen. FOR THE WAH PEDAL: Could you guys make it so you can tap the pedal to control how you want it to sound. 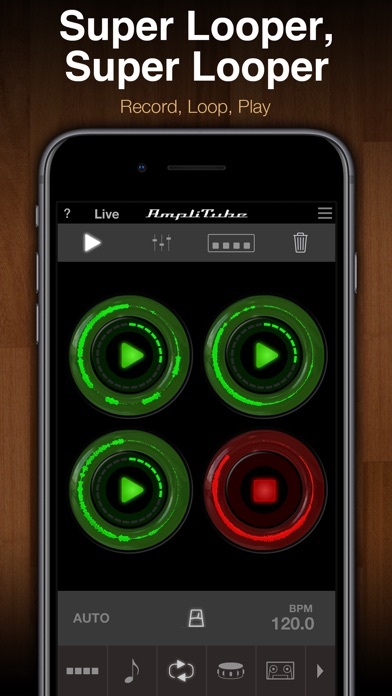 Like the way the in app metronome works. Just tap to set the speed of the pedal. Instead of having someone else slide their finger to create those cool wah sounds. Thank you for reading this.